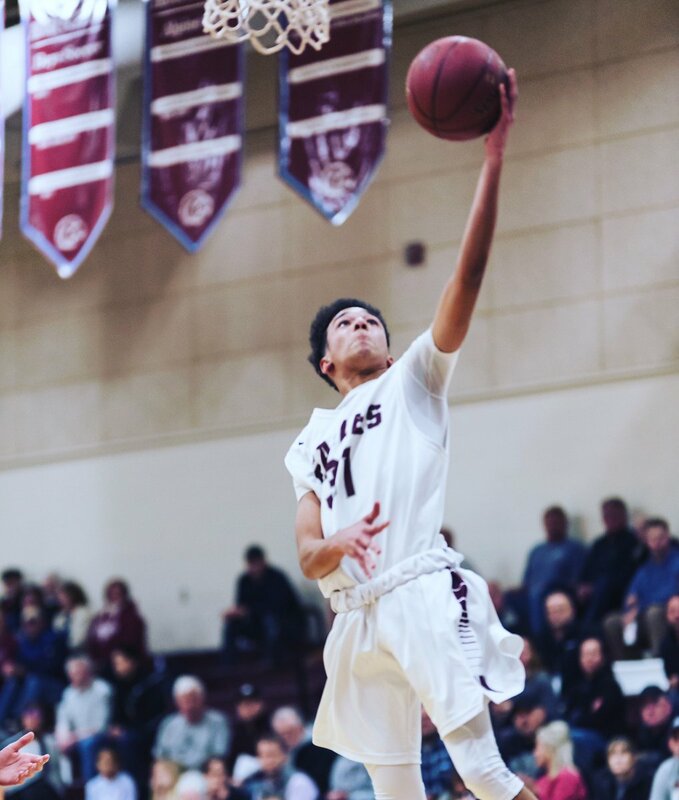 WINDHAM—The Eagles dashed out to a quick lead over visiting Westbrook on Friday night, Jan. 18. The Blazes battled admirably back to briefly seize the lead in the second, but fell behind again as the downhill half unfolded: 44-35 Windham in the end. Cam Brown led the Eagles with 10, and Andrew Wing and Dierhow Bol contributed eight apiece. Kaleb Cidre added four, Ivan Kaffel and Will Mannette three each, Nuar Bol, Sean Cunniffe and Chris Naylor two each, and Hayden Bilodeau one. Westbrooker Kevin Malonda led all scoreres with 11, while teammate Michael Connolly added eight. Chuil Bayak kicked in five, Braiden Pierce and Matt Eugley three apiece, Kyle McKone and Abier Manyiel two each, and Donovin Drummond one. 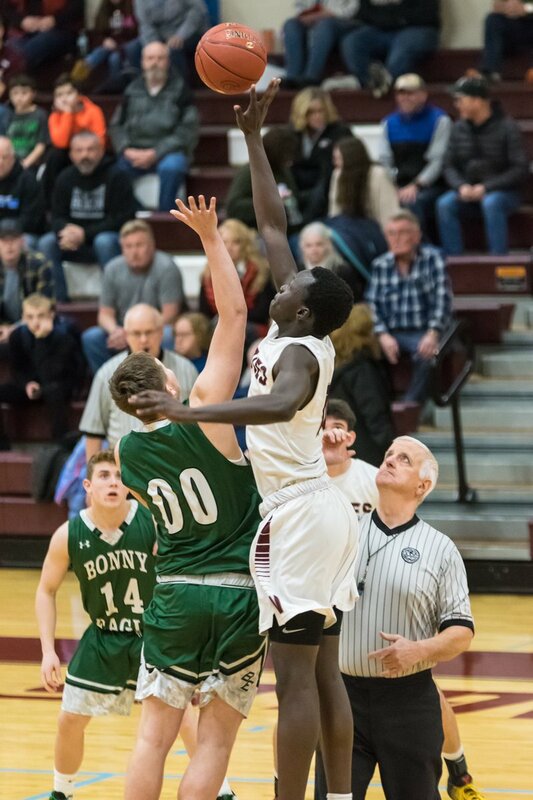 The Eagles sprang out front 10-2 to start on points by Wing, Dierhow Bol and others. Westbrook looked hobbled on all fronts – but only momentarily: The Blazes surged as the first wended into the second. Malonda hit a three for 10-5 before Brown added a spin-jumper bank-shot from the paint for 12-5. The 6-foot-6 Connolly closed the stretch with a spectacular rejection vs. the similarly towering Bol, stealing some momentum for Westbrook to outpace their hosts 7-2 in the second. Connolly added five of those on a three and a two, while Manyiel kicked in another two. Naylor hashed Windham’s only points of the quarter on a pair of free-throws. The Blazes began the third with five straight, seizing the lead at 17-14. Kaffel notched his three to balance things, but Bayak responded with a two and pushed Westbrook ahead again, 19-17. That’s when Wing drained a three for 22-19 and the last lead change of the evening: Before the Blazes could score their next point, a Eugley free, the Eagles added eight more, Wing, Brown and Bol all sinking shots. Westbrook outpaced Windham through the fourth, but only by two, 15-13 – not nearly enough to recoup their deficit and earn a much-sought-after victory. All the usual players figured into the stretch: Brown had a three and a two back-to-back, Malonda complete a three-point play, and several boys stepped to the line. Eugley hit the last two of the game, bringing the Blazes back within eight: 43-35 the final. Westbrook, now 1-11, currently occupies 12th in A South. The Blazes have given up five of their losses by less than 10 points, though: The team, that is, has been in many of their games. Their relative inexperience is primarily what’s holding them back, but they’re making strides with each passing day. Westbrook hosts Greely (No. 1 in A South, 9-3) on Tuesday the 22nd, then travels to Kennebunk (No. 5 in A South, 10-3) this coming Friday, the 25th. Windham traveled to Lewiston (No. 8 in AA North, 2-10) on Monday the 21st, where they picked up another W, 44-36, and moved to 7-6 on the winter. 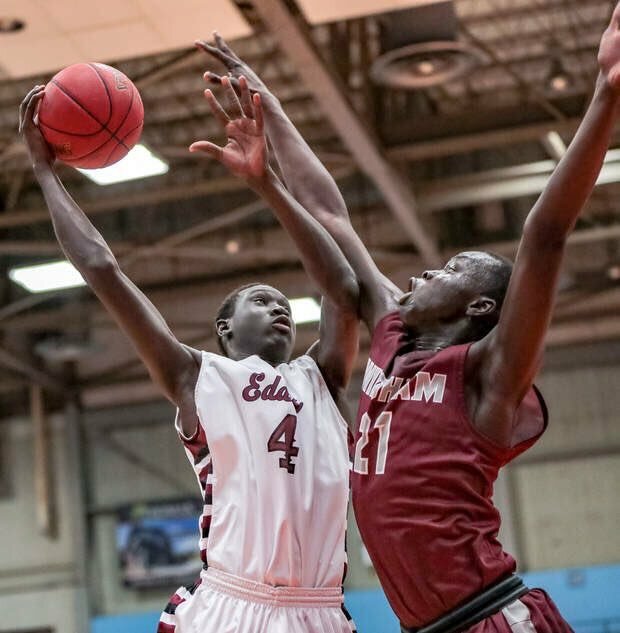 The Eagles, seventh in AA North at the moment, drop in to challenge Deering (No. 5 in AA North, 7-5) on Friday.